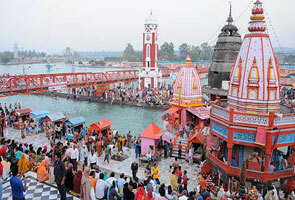 Hanuman Chatti is situated at the meeting point of the Hanuman Ganga and Yamuna Rivers. Hanuman Chatti is a tranquil place which is located 13kms before Yamunotri Dham. 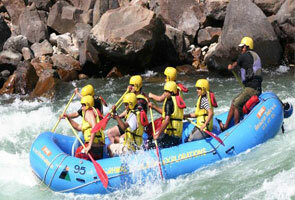 It is positioned at a height of 2400mts and offers wonderful sights of Mother Nature. It is a tranquil place and most visited by travelers across the world. The beautiful view along the river side offers rich natural experience. 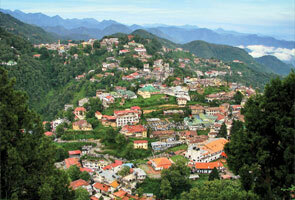 Trekking at Hanuman Chatti is another key attraction here. 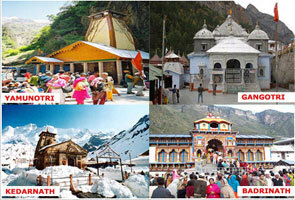 Places that one can opt for excursion are Hanuman Chatti- Yamunotri, Darwa Top and Dodi Tal. Earlier, Hanuman Chatti used to be the commencing point of the trek to reach Yamunotri but with development overtime, motorable roads have been constructed up to Janki Chatti that reduces the total distance to 7km. There are numerous accommodation facilities available for comfortable stay at Hanuman Chatti. With less lodging facilities available at Yamunotri, travelers stop by at Hanuman Chatti. GMVN Rest House is also one of the options to put up at Hanuman Chatti. Close to Hanuman Chatti, Yamunotri is the most preferred destination by the travelers in the state of Uttarakhand. If trekking is what interest you then you can trek to Dodi Top and Dodi Tal. Trekking path is not difficult.